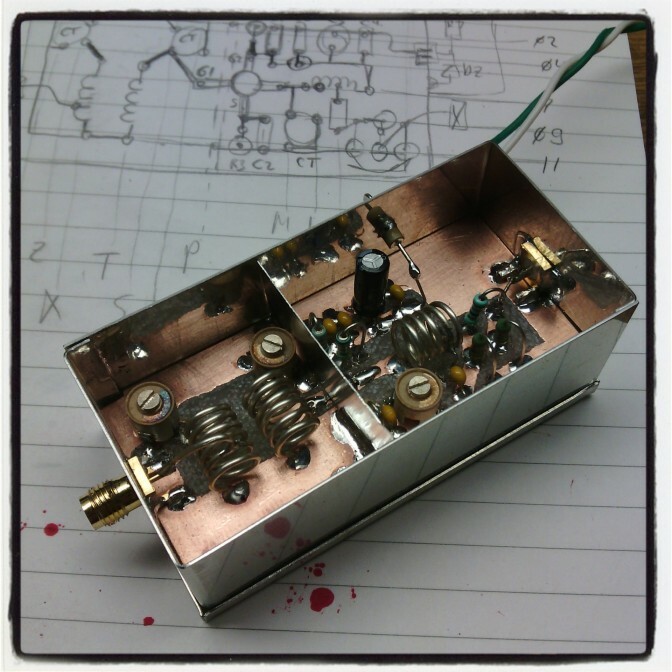 I had plans for months now to build a 2m preamp based on a schematic from SV1BSX a 2m VHF preamp with about 18dB gain (for the schematic checkout this link). Last month I had worked out the component layout for the PCB and recently I had time for a realize this afternoon hamradio project. The final result can be seen below (sorry no photo's from the building steps). For the final adjusting I bought it with me on a measurement evening of the Veron / VRZA Twente. There I hooked it up on our Rigol Spectrum analyzer to adjust the filters and to determin the real gain. 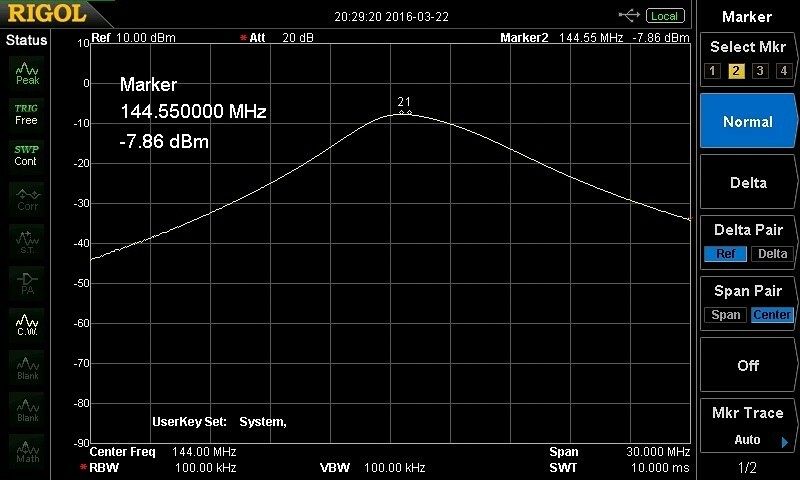 A -30dBm signal output from the generator at the input results in a -7.86dBm output . So a nice +22dB gain. Happy with the result.